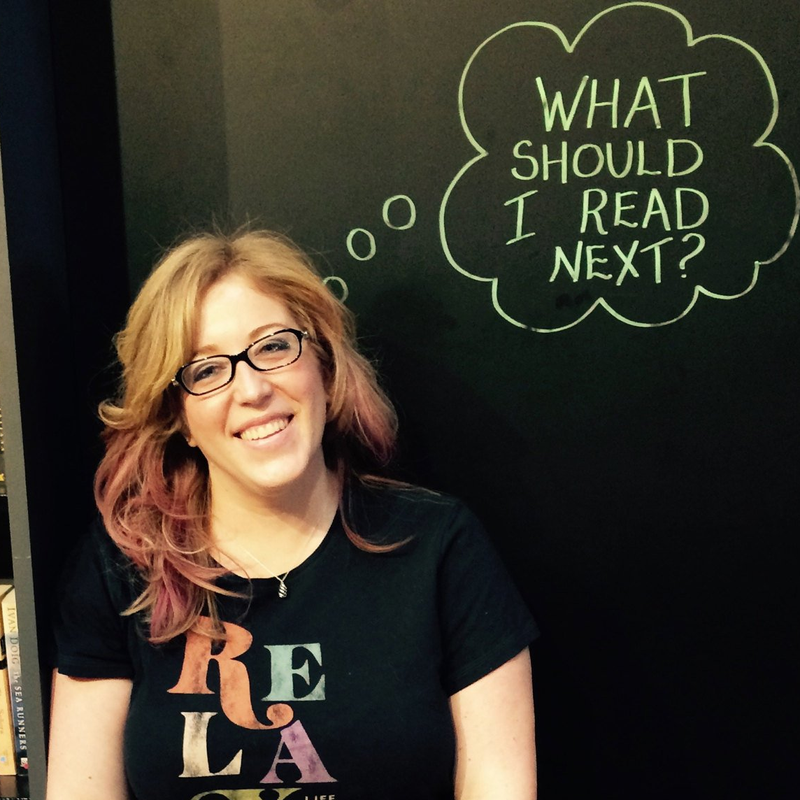 I'm all about any day that lets us celebrate reading with our students. 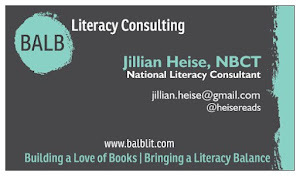 Any chance I have to encourage more excitement around reading is something I want to talk up in my classroom. That's why I enjoyed Read Across America Day. 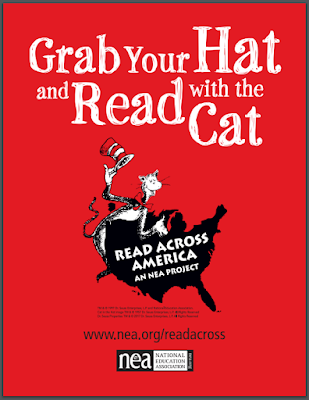 Even with my middle school students, I celebrated Read Across America Day every year I taught. But as I reflected on my past celebrations last night, I realized something interesting. My way of celebrating Read Across America Day evolved as my knowledge about best practices for motivating adolescents to read increased. Early in my career, I would decorate my classroom the night before, and the day of we would celebrate Dr. Seuss' birthday with cupcakes and a bookmark design contest. Yes, you read that right, on a day of celebrating reading, my students did a crafty project instead of actually reading. Now, that's not to say it wasn't a fun activity - it was, and the bookmark had to be done around a theme of encouraging or celebrating reading. It also built classroom community as I selected finalists in each class period for favorite designs and then had students vote on their favorite that would be copied for each student to have. I even had a reading display that stayed up year round where I displayed the winning bookmark designs from over the years. I loved it and it was a fun day "off" for my middle schoolers. But was it really meeting my purpose? You see, as my understanding of the research in reading achievement and engagement grew, I realized that the number one thing students need to be doing is reading things they're interested in and able to read. And here I was, on a day that was all about celebrating reading, and neither my students nor I were reading anything! I of course had the best of intentions, but wasn't going about it the right way. As my beliefs evolved, I knew that a day celebrating reading should allow students to read as much as possible. Often when I would tell my students it was the end of their independent daily reading time, they would groan and ask for more time to read. Well, what better day to let that happen than Read Across America Day. 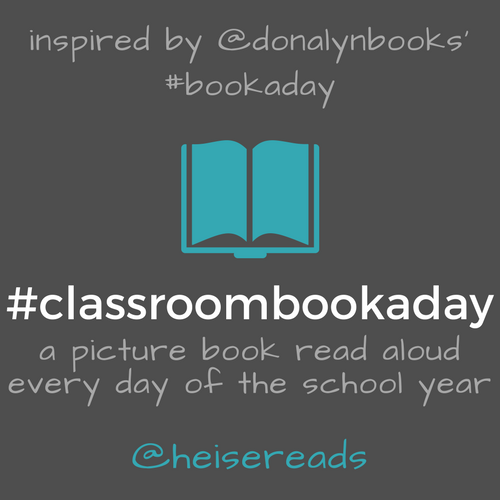 We would get comfy and read independently for the whole class period along with sharing a picture book (or two or three) read aloud. I would also have a "read-in" during my RtI class time on that day, and with other grade level group in a special spot in the building. That's not to say we shouldn't still have cupcakes and decorations to make it feel like more of a celebratory day - those are fun things for the classroom community. But if the focus is on celebrating reading, we should make sure the celebration doesn't take over the reading part. What we do, and where we devote our time matters. It matters for the time we spend, and it matters for the messsge it sends to students. Having multiple and varied opportunities to read throughout the day makes it's own sort of celebration around reading and keeps the focus where it should be - reading being its own reward. And what better day to "just" read for a day of school than Dr. Seuss' birthday? I hope you have a great day celebrating reading tomorrow, and spend a lot of time reading with your students.